Unique symmetrical design makes a bold statement with the Reverie Bench by Modloft. 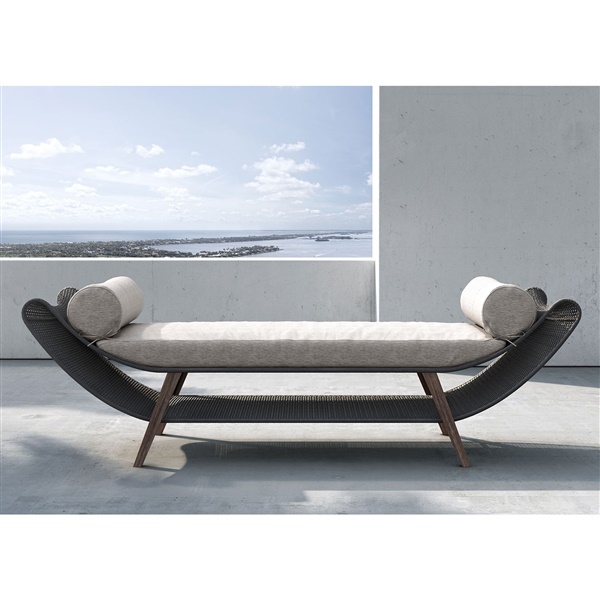 Mirroring the shape of the bench, the cushion provides comfort while the woven regatta rope and eucalyptus construction promise endless support and strength. Weather resistant, this piece is the ideal addition to your outdoor space.